1) Ar. a lion ramp. gu. within a bordure engr. sa. bezantee. 2) (Crockham, co. Berks, granted 5 July, 1771). Ar. a bend lozengy betw. six crosses crosslet sa. 3) (Court in St. Stephen, Brannell, co. Cornwall). Ar. a lion ramp. gu. ducally crowned or, within a bordure sa. bezantee. Crest—A demi lion ramp. gu. ducally crowned or. 4) (co. Essex). Same Arms, field erm. 5) Same Arms, with on a bend of the last nine martlets of the second. 6) (Cornwall). Gu. on a fesse ar. betw. three mullets or, as many Cornish choughs ppr. 7) (Bonhard, Scotland). Same Arms. Crest—A Cornish chough hatching in the face of a rock ppr. Motto—We beg you see warily. 8) (cos. Cornwall and Devon). Ar. on a cross pattee sa. five bezants (another, plates). 9) (co. Dorset, 1608). Ar. on a fesse sa. three plates fretty of the second. Crest—A boar’s head couped or, bendways with the blade of a broken sword thrust down his throat ppr. 10) (co. Oxford). (Ireland). Ar. a lion ramp. gu. crowned or, over all on a bend (another, engr.) sa. three (another, eight) bezants. 11) (co. Salop). Erm. a lion ramp. reguard. gu. crowned or, within a bordure sa. bezantee. Crest—A Cornish chough ppr. Motto—La vie durante. 12) (co. Warwick). Or, three chev. vert. 13) Erm. a lion ramp. gu. within a bordure sa. bezantee. Crest—A lion sejant gu. ducally crowned or. 14) Ar. three lozenges in fesse betw. six crosses crosslet (another, the crosslets fitchee) sa. 15) Ar. three (another, five) fusils betw. six crosses crosslet fitchee sa. three, two, and one. 16) Or, five castles in saltire (another, in cross) sa. 17) Erm. on a fesse gu. (another, sa.) three plates. 18) Az. fifteen bezants, five, four, three, two, and one. 19) Le – (Cornwall). Ar. a chief gu. over all a bend az. 20) (Barons of Burford, descended from Richard de Cornewall, illegitimate son of Richard, Earl of Cornewall, the 2nd son of King John; his son, Sir Geoffrey de Cornewall, m. the heiress of Mortimer, Baron of Harford, the heiress of Burford, Anna Maria, only child of Francis Cornewall, Baron of Burford, rn. George Legh, Esq., of High Legh, and d. 1741). (Baron Fanhope and Milbroke. Sir John Cornewall, grandson of Sir Geoffrey de Cornewall by the heiress of Burford through his third son, was advanced to the peerage in open Parliament as Baron Fanhope 1433; and created Baron Milbroke 1442, d. without legitimate issue 1443). Erm. a lion rump. gu. crowned or, a border sa. bezantee. 21) (Moccas Court, co. Hereford, bart.). Same Arms the bordure engr. Cretts— 1st: A Cornish chough ppr. ; 2nd: A demi lion ramp. gu. ducally crowned or. Motto—La vie durante. 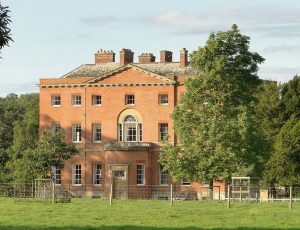 22) (Berrington, co. Hereford, and Delbury, or Diddlebury, co. Salop; Frederick Cornewall, Esq., of the family of Berrington, in Herefordshire, captain in the Royal Navy, purchased the Diddlebury estate from Richard Bawdewin, the last of a family long seated there. He was father of the Right Rev. Foliott Herbert Walker Cornewall, Lord Bishop of Bristol 1797, Hereford 1803, and Worcester 1838-39). Same Arms. Crest—On a chapeau gu. turned up erm. a lion statant ppr. 23) (Ireland). Ar. a fess betw. six martlets sa. 24) Ar. a bend fusilly betw. six crosses crosslet sa. This surname is a local one meaning “from Cornwall” a county in England, which in turn derived its name from the ancient tribal name Cornwealas. 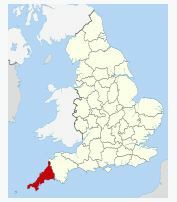 It derives from the words kernow (the term the tribe used to refer to themselves) and wealas (strangers, foreigners). The etymology of kernow may be related to the Celtic word meaning “horn”. Another source claims it comes from the Old English words corn (meaning crane) and well (meaning spring or stream). Common spelling variations on this name are: Cornwell, Cornewall, Cornwal, Cornwale, and more. The earliest known person with this last name was Roger de Cornwelle from 1161 AD. The Hundred Rolls of 1273 AD, a census of Wales and England, known in Latin as Rotuli Hundredorum, documents two people bearing this surname: Hugo de Cornub in county Devon, Roger de Cornub in county Berkshire, and Hugh Cornwell in county Oxford. Geoffrey de Cornwayle was recorded in the Calendarium Inquisitions Post Mortem. Wauter de Cornwaille in the Writs of Parliament in 1313 AD. A Robert Cornwal was recorded in county Somerset in Kirby’s Quest during the reign of King Edward III of England. Early marriages involving this surname include Joanna Cornewell to Edward Herne in 1565 in London, John Cornewall to Katherine Leake in 1571, and Mari Cornwell to Richard Davis at St. Dionis Backchurch in 1587. The famous genealogist Bernard Burke’s book “The Landed Gentry” discusses this surname. It begins with a discussion of the Right Honorable Sir Edwin Andrew Cornwall, First Baronet, of Holcombe Burnell in county Devon. 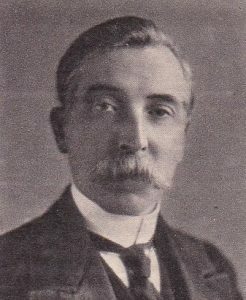 He was born in 1863 and was second son of Andrew Cornwall. He was knighted in 1905 and created a baronet in 1918 and was sworn to the Privy Council of Great Britain in 1921. He married Ellen Mary in 1883 and left issue with her: Reginald Edwin (1887), Elizabeth, Laura Ellen, and Bernice Olive. Burke’s other book “The Landed Gentry” discusses one branch of this family: Cornewall of Delbury. Herbset Somerset Hamilton Cornewall, Esq. of Delbury in county Salop was born in 1826 in Quebec. He married Ellen, the daughter of James Wood, and had issue a son with her: Charles Somerset Herbery (1863). Burke traces the lineage of this family back to the Cornewalls, Barons of Burford, the senior line of which is represented by the heir general, Cornewall Legh, of High Legh. Sir Rowland Cornewall of Berrington was the father of Sir Richard Cornewall, Knight of Bettington. Richard married Jane Milbourne and had a son with her: Sir George Cornewall. George married Mary Chandos and with her had an heir: Humphrey Cornewall. Humpfrey married Elizabeth Bradshaw and with her had issue. He died in 1663 and was succeeded by his eldest son: John Cornewell. 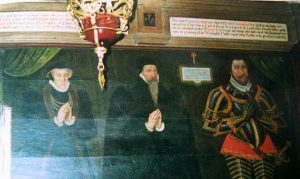 John married Mary Barnaby and with her had son named Humphrey who was bapitized in 1620. Humphrey married Anne Skinner of Thornton College in county Lincoln, and had issue with her, the eldest of which was Robert Cornewall, Esq. of Berrington and Ludlow, born in 1646, who married Edith Cornwallis of Abemarles. Together they had children, the fourth of which was the Reverend Frederick Cornewall of St. John’s College. He married Elizabeth Trice of Huntingdon and had issue with her, including Frederick Cornewall, Esq. of Delbury, born in 1706, who married Mary Herbert. They had issue, including the Reverend Folliot Herbert Walker Cornewall, the Bishop of Bristol, Hereford, and Worcester. He married Anne Hamilton and had issue with her: Frederick Hamilton, Herbert, and Marianne. Richard, the second son of King John, was King of the Romans and Earl of Conrwall had two sons: Richard de Cornewall and Walter de Cornewall. The barons of Burdford, now represented by George Cornewall Legh, descended from the former son. The book “Genealogical Guide to the Early American Settlers” mentions two people bearing this surname: 1) Thomas Cornwell of Portsmouth, Rhode Island who died prior to 1673, 2) William Cornwell was recorded in 1634 and with his wife Joan, moved to Hartford in 1639 and had children: John (1640), William (1678), Samuel (1642), Jacob (1646), and Thomas (1648). Other early settlers include Thomas Cornwall (Maryland 1634), Pastrow Cornwall (Virginia 1654), and William Cornwall (Maine 1718). Family mottoes for Cornwall includes: 1) meret qui laborat, meaning “the labourer is worthy of his hire”, 2) one and all, 3) la vie durante, meaning “during life”, 4) we beg you see warily (of Bonhard), Whyll lyff lastyth, meaning “” for the Barons of Burford”. Edward Everett Cornwall of Brooklyn, New York, the son of Nathaniel Cornwall bore the following arms: Ermine, a lion rampant gules crowned or within a border engrailed sable bezantee. He was born in Buenos Aires, Argentina in 1866.